Come for a half day exploration of Bukit Pelanduk to experience nature and local traditions, learn how joss stick is made, and enjoy Hock Chew delicacies. Bukit Pelanduk ("Deer Hill" in English) is a New Village rich with stories. It is 30 minutes from KLIA by car. Every few minutes, when you look up, you will see an airplane flying across the sky like an eagle. Recently, Bukit Pelanduk has been shortlisted as one of the Top 20 Tourist Destination for new villages. Besides, this village also became one of the main settings in the 2018 CNY movie directed by Director Chiu. Sungai Sepang Besar is a stream which separates the two states, Selangor and Negeri Sembilan in Malaysia. It is covered with mangrove trees on each side of the river. 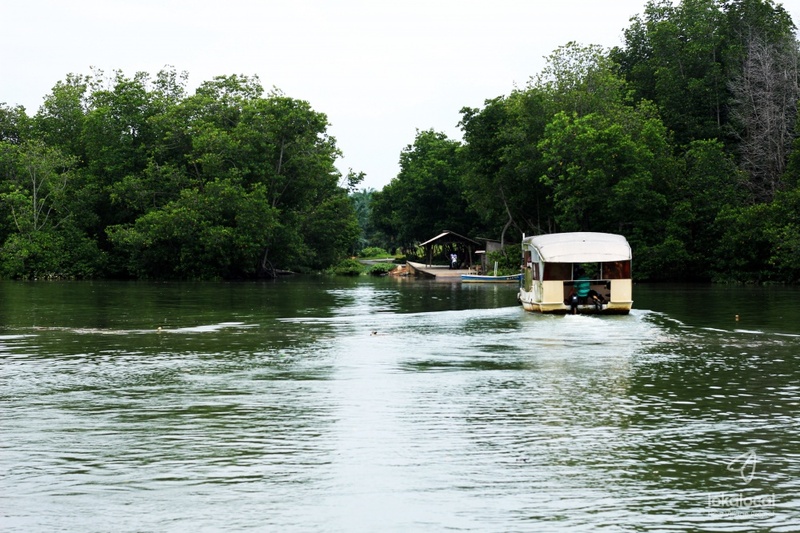 One of the unique tourist attractions is the ferry service between Kampung Baru Bukit Pelanduk and Sungai Pelek in Selangor. You can experience the life of the villagers here and see how this ferry service brings convenience to them. “Bai Ji Xuan” is a traditional wooden restaurant in the village which floats by the river bank. Visitors can embrace the scenery of nature while enjoying their meals as well as ride wet bikes (depending on weather). Majority of the villagers are of Hock Chew descent. You will have some golden opportunities to taste mouth-watering Hock Chew desserts and delicious traditional dishes with red wine, prepared by housewives. You will then discover Thus’s joss stick making process, visit a unique “Dried Dragon Fruit Meat” factory and dragon fruit farm, and other exciting activities together with the local expert. Learn how joss sticks are made. Time for some shaved ice to take your mind off the heat. Dinner at "Bai Ji Xuan"